Self administered regions assigned to 5 different ethnic groups in Shan State are “a bunch of hoax”, according to Khun Htee, the newly elected Chairman of Pa-O Youth Organization (PYO). Ethnic groups in Shan State Kokang, Pa-O, Palaung, Danu and Wa, were granted self administrative status by the newly approved constitution drafted by the State Peace and Development Council (SPDC). “We don’t believe that the autonomy given to us is real because they [SPDC] are an illegal government,” said Khun Htee. “We will keep struggling until we achieve genuine rights, not a bunch of hoax,” he added. The Pa-O people will join hand together with other ethnic groups to struggle to achieve democracy, solidarity of nationalities and a genuine federal union, according to the statement from the 3rd Conference of the PYO held on 20-21September, on the Thai-Burma border. Most ethnic armed groups are still on the struggle even though the Burmese military has granted them self administration, according to Khun Htee. The Burma military has been urging non-ceasefire and ceasefire groups to surrender by 2009 and contest in the elections to be held in 2010. “If there is a group that will participate in the elections on behalf of the Pa-O people, it must take full responsibility to achieve what our people need. If not, we will say that it has betrayed the people,” he said. Until recently, there were two Pa-O ceasefire groups in Southern Shan State, Shan Nationalities Peoples’ Liberation Organization (SNPLO) led by Takaley and Pa-O National Organization (PNO) led by Aung Kham Hti. The SNPLO was formed in 1968. In 1994 it concluded a ceasefire agreement with Rangoon. 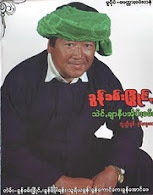 In 2007, one of its factions led by Chit Maung was forced to surrender to the Burmese military and another faction led by Khun Ti Sawng returned to the struggle changing its name to PaO National Liberation Organization (PNLO). The third faction led by Maj Hseng Fa surrendered in July. On 3 August, the remaining SNPLO faction led by Soe Aung Lwin and Sein Shwe were forced to surrender. The PNO, formed in 1976, concluded a ceasefire agreement with Rangoon in 1991. Its leader Aung Kham Hti is a co-chairman of the junta-organized Union Solidarity and Development Association (UNDA) Shan State South branch. Outside Shan State, the only self-administered zone granted by the junta is for the Naga people in Sagaing division. It isn't hard at all to start making money online in the underground world of [URL=http://www.www.blackhatmoneymaker.com]blackhat ebook[/URL], You are far from alone if you don't know what blackhat is. Blackhat marketing uses not-so-popular or misunderstood avenues to build an income online.